For the past 10 years, on a purely private basis, we have been doing our best to provide financial resources for village-driven efforts to extend educational opportunities to the children of Larabanga, Ghana. 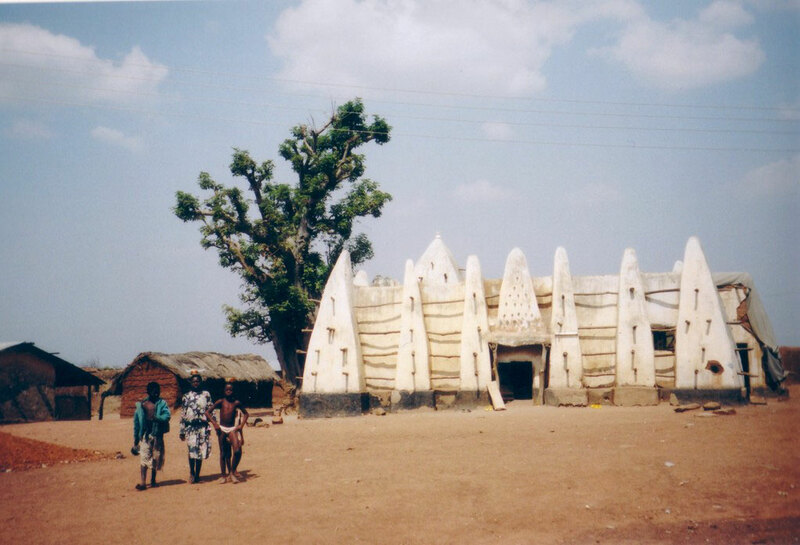 We began to work on an initial project after our return from a visit to Larabanga, in northwestern Ghana, in January, 2005. Until arriving in Larabanga, meeting some of its inhabitants, seeing the state of things and talking with the persons driving the efforts for Larabanga's youth, we had no previous knowledge of the situation there. 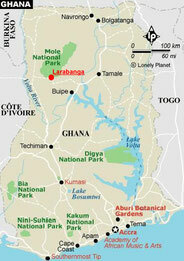 Specifically, in the period Dec. 2004 to Jan. 2005, we spent a month underway from Bamako, Mali to Accra, Ghana. The trip was fully organized by us (i.e., no agencies, tour operators, group travel, etc.) Using public transportation (above all, bus and "bush taxi"), we passed through Mali, Burkina Faso and Ghana. From the city of Tamale in northern Ghana, we went to Mole National Park, one of the few in Ghana with any remaining significant wildlife. During our few days' stay at the park, we visited Larabanga a couple of times and were genuinely impressed by the efforts that a group of young villagers were making to improve educational (and general) conditions there. Please use the links on the left, or above, to find out more about what we are doing.